Make mine a double. 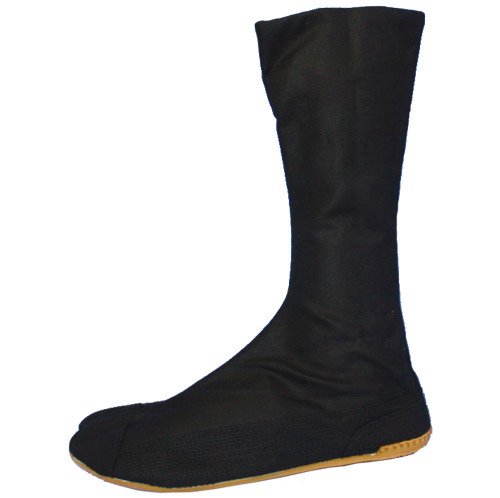 This tall version is based on the flagship Fighter model, with 12 metal tabs to ensure a snug fit right up to your calves. This jikatabi has a double cushion insole, designed for people who spend a lot of time continuously on their feet - a 3mm sponge cushion, a 3mm EVA cushion, and a cushion gel layer in the heel. It comes in black or white and has 12 metal tabs (kohaze) and four adjustable widths to ensure a snug fit. 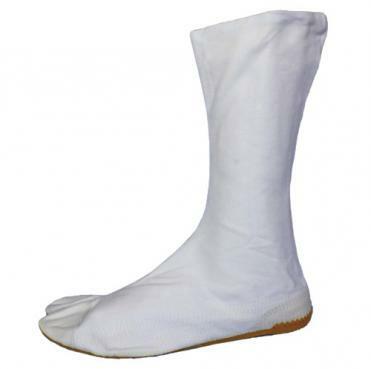 100% cotton with cotton lining and a lightweight and flexible rubber sole. All the stitching is reinforced so the seams are strong and durable.